We cleaned this in just about every way we could think of, let it dry in the sun, rinsed it, let it dry some more...and then she had to get used to it for a day or two, as she thought it was surely going to eat her. Finally, though, she's on it and she's very much in love with it. She's having lots of fun chewing on the bark and exploring! We haven't decorated it yet, clearly! I just hung whatever I had lying around for now. Any ideas? I'm thinking a ladder or a rope for easy climbing, for sure, but I'm drawing a blank everywhere else lol. What does she also like, noisy things like bells and rattles or stuff to chew and whittle. Great job! You can also use plastic zip ties to attach wicker baskets. The baskets can hold little foot toys and treats. She can also shred the basket. The ladder is a good idea too. Great ideas! I'm excited to get it decorated for her...and she will surely have a little treat dish! I think the one thing Gracie really likes (other than anything she can rub her head on) is palm fronds! She loves ripping those up. Maybe one of those seagrass mats would interest her. The basket is a great idea! We have a bunch of little items from toys she's gone through that she likes to nibble on when she's out, so that'd work great. Thanks! Very cute! 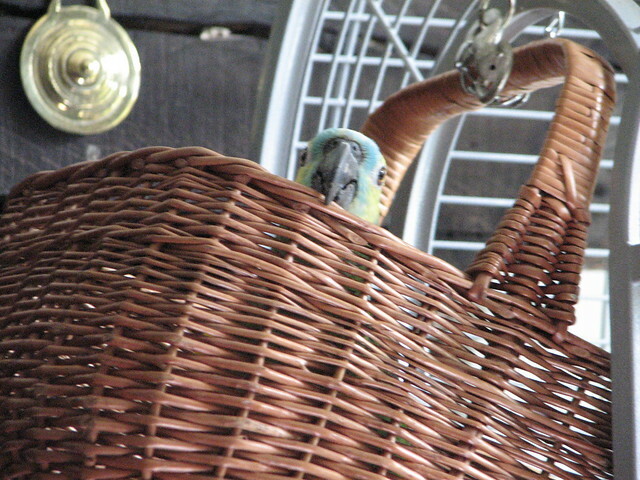 Can we use any wicker basket, or do they make them specific to birds? Probably a silly question but it can't hurt to ask. That's an excellent question, I'm glad you mentioned it. We were unsure if that basket had been treated with any chemicals so we stopped him playing in it as he was starting to chew at it. It now contains all his cage cleaning stuff and stays in a corner in the kitchen. If he walks out to the kitchen (he rarely flies anywhere) he will climb up and sit on the handle but doesn't try and destroy it. 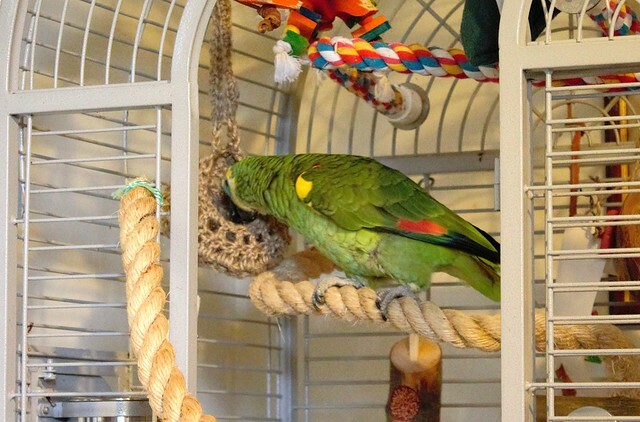 So, to answer your question, if your bird is likely to chew the wood you need to know that the wood is untreated or treated with safe chemicals. Last edited by Casper's 2nd best friend; 02-02-2019 at 10:25 PM. I'm not the most tool friendly but we have a stand, and I want to drill a hole in to put in a tall pole (if you will) with a hook or a curve. Something I can hang things on that she can reach up and get. I have hung everything I could to get her interest from the perch she stands on but she isn't one to pull up anything to her. I was also looking at some of the foraging toys that I could maybe attach to the side of it so it is close enough that she would reach down and look to see what is inside. If that doesn't work out I was thinking about maybe just adding a long dowel stick by drilling it to the side or base. When my hubby first made her stand she would use it quite often just to hang out with us. I would also use it to get her to step up and she use to sit on it when we were having dinner and get some of our food. Sorry to revisit an old thread, lol. When the room flooded we moved the play stand onto the deck for a night or two (the flooding was due to an issue with the dishwasher and not the weather, so it was dry). Is there any need to disinfect it against bugs and whatnot or should it be fine as is?